Kidz Crossing is a high-energy children's worship time that takes place during the sermon time of our 9:30 worship hour. Children from ages 4 through 6th grade are dismissed from the adult worship time to gather in the All-Purpose Room for a kid-friendly worship experience. Our 11am Sunday Morning Discipleship Hour includes Bible classes for kids from the D6 program. Classes are offered for 3- & 4-year-olds, Kindergarten, 1st & 2nd Grade, 3rd & 4th Grade, and 5th & 6th Grade. On Wednesday evenings, we offer a family-oriented program for children in pre-school through 6th grade. Kids and their parents are invited to gather for worship, games, and a Bible lesson. The program runs from 6:30 to 7:30pm and meets in the Auditorium. Check out the ﻿CRave Student Ministries﻿ tab for more information on our Junior and Senior High Ministry! We offer a Sunday morning Discipleship Class for College and Career Young Adults. The class meets in the new adult wing on the south end of the building. On Wednesday evenings, you are invited to the home of Kevin & Cindy Guffey (7 Hillcrest Drive, Hutchinson) for snacks and Bible study at 6:45pm. 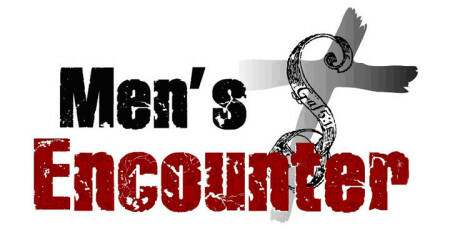 Our Women's and Men's Encounter Ministries have reached THOUSANDS of people in and beyond the state of Kansas, beginning in Hutchinson and reaching to Lawrence, Alta Vista, Wichita, Garden City, and other locations. God has used Encounter to unite thousands of people from across denominational lines as they learn how to encounter freedom in Christ. Learn more at www.womensencounter.com or www.mensencounter.org.